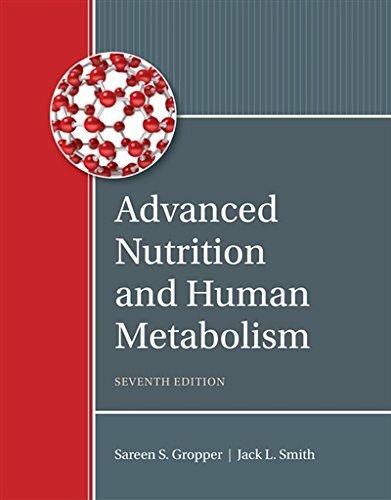 1305627857 -Current, comprehensive, and designed to maximize clarity of essential concepts, longtime best-seller ADVANCED NUTRITION AND HUMAN METABOLISM delivers its signature quality content in a student-friendly way. The 7th Edition continues to set the standard through the authors’ ability to clearly and accurately explain even the most complex metabolic processes and concepts, while staying at an undergraduate level. It gives students a solid understanding of digestion, absorption, and metabolism of fat, protein, and carbohydrates; examines the structures and functions of water-soluble and fat-soluble vitamins — including their regulatory roles in metabolism; and provides information on vitamin and mineral food sources, recommended intakes, deficiency, and toxicity. With ADVANCED NUTRITION AND HUMAN METABOLISM, 7th Edition, students will be well prepared to continue their studies in the field of nutrition.